Hasaka - The paramedics’ log at Al Hol camp in eastern Syria lists the injuries and ailments of infants rushed from the battlefield to its crowded, dirty clinic: malnourishment, stunted growth, broken leg. 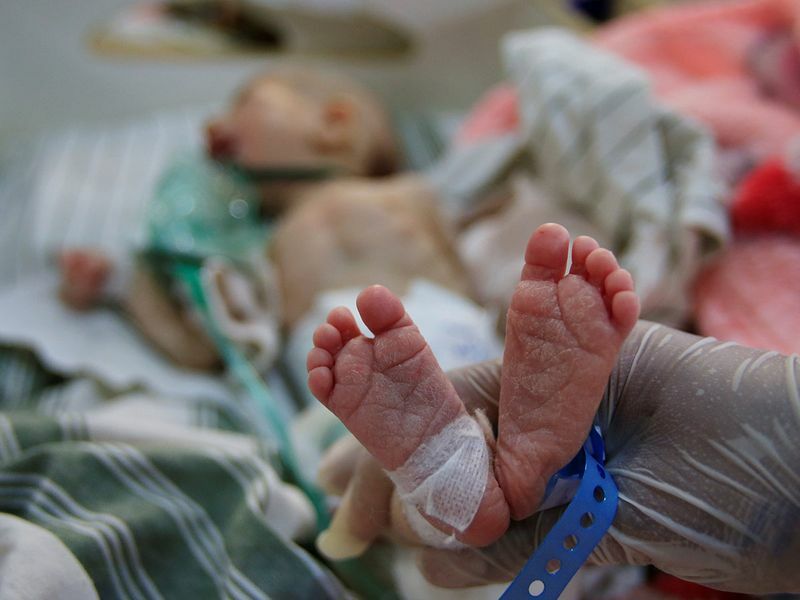 Those in critical need – mostly emaciated babies born in war to the wives of dead Daesh mitants – are taken to the nearest hospital, a bumpy two-hour drive away. Other people cram into a waiting room with a tin roof in a growing queue for basic medical treatment. At the hospital, staff have had to build two portacabins on the roof that serve as a makeshift ward for the treatment of malnourished babies, crammed sometimes two or three to a cot. Lower floors are filled with teenagers missing limbs and women with shrapnel and bullet wounds. 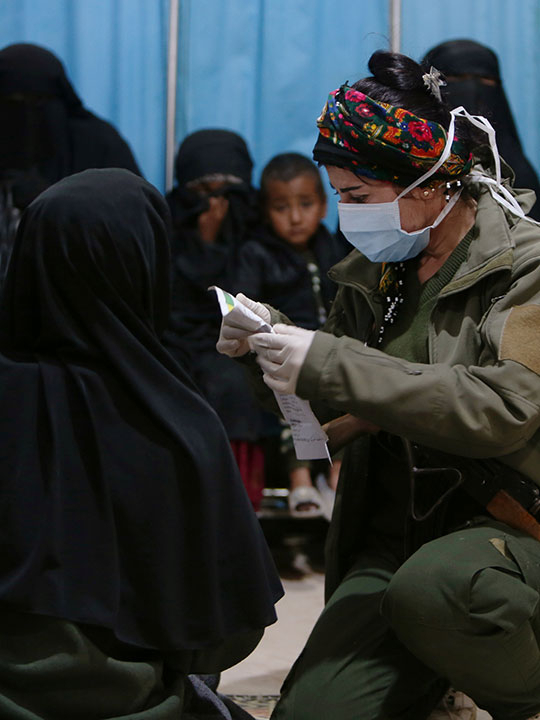 The exodus during intense fighting of more than 60,000 people from Daesh’s final redoubt of Baghouz is overwhelming medical staff in eastern Syria who struggle to cope at the camp and ill-equipped hospitals. Scores of people, mostly children, have died on the 240-kilometer journey to Al Hol or soon after arriving, aid groups say. “My son has a dislocated hip. He needs an operation urgently,” said Umm Mohammed, a veiled 33-year-old woman holding an expressionless six-month-old boy at the camp. In the waiting area, dozens of people who mostly left Baghouz during a brief truce last month, arranged for civilians and surrendering militants to evacuate, sit on wooden benches or the concrete floor. Children in wheelchairs watch while babies scream as they are bandaged or given injections. U.S.-backed forces declared the defeat in March of Daesh’s self-proclaimed caliphate – the territory it once held in Iraq and Syria – after militants were driven out of the village of Baghouz where they made a months-long last stand. The intense bombardment and fighting to dislodge the Sunni Islamist extremist group cost countless lives and wounded many more people, including the wives of fighters, their children, Daesh supporters and other civilians trapped by the militants in the enclave. Those who evacuated in recent weeks have strained healthcare in Kurdish-run areas of eastern Syria beyond capacity. In the clinic at Al Hol, which is hosting more than 70,000 people displaced by violence, many people wore crude casts. One woman said she did not have enough painkillers for a wound to her hand – a long metal rod from the explosion that wounded her and killed three relatives was still lodged in her knuckle. “I just want an X-ray at the hospital,” she said, giving her name as Umm Ahmed. But local hospitals can take only the most severe cases. 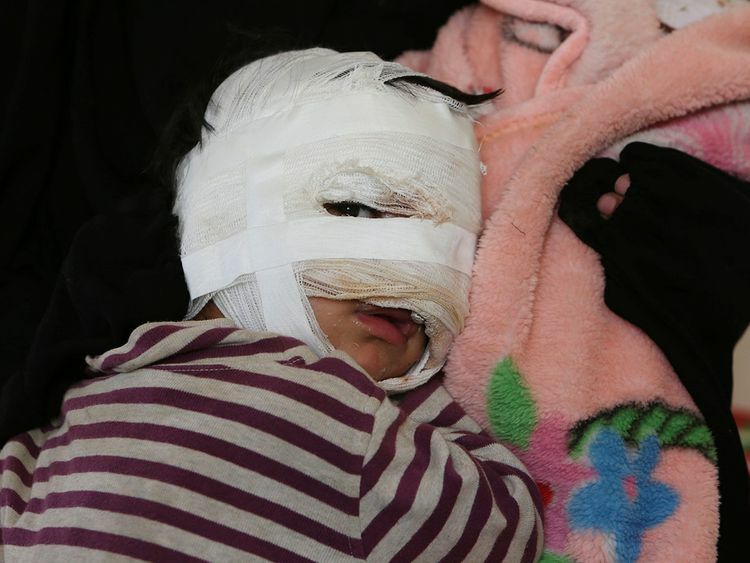 In one room at the hospital in the nearby town of Hasaka, 19-year-old Baraa Al Kurdi, the wife of a Daesh State member, lay motionless next to a boy with third-degree burns covering his head. “I was hit in the head by shrapnel,” Kurdi said quietly. “We were next to a car packed with ammunition and explosives, including suicide belts ready for fighters to use. Kurdi’s daughter was one of the few non-foreign infants in the ward. Others, many blond or with Asian features, lay quietly in their cots with cheekbones showing and eyes sunken into their sockets from malnutrition. The patients’ register listed the names their mothers gave the hospital – Ali Azerbaijani, Ali al-Uzbeki, Mohamed Skramo, a Norwegian name. Many who remained in Baghouz until the end of the fighting were die-hard supporters of Daesh who flocked from all over the world to support its violent interpretation of Islam. A number of European countries have refused to take back citizens who joined Daesh, putting additional strain on local authorities to deal with prisoners and patients. “Children from the camp are arriving night and day. We currently have more than 70 babies being treated for malnutrition,” a nurse in the ward said. She and other hospital staff declined to be named or for the hospital to be identified, fearing reprisals for treating the children of Daesh fighters. More than 200 people have died on their way to Al Hol or after arriving in the camp in recent months, according to the International Rescue Committee. It said this week that around 30 to 50 cases every day were referred to local hospitals. “We get 30 ambulances arriving each day,” a local health official said, also declining to be named.